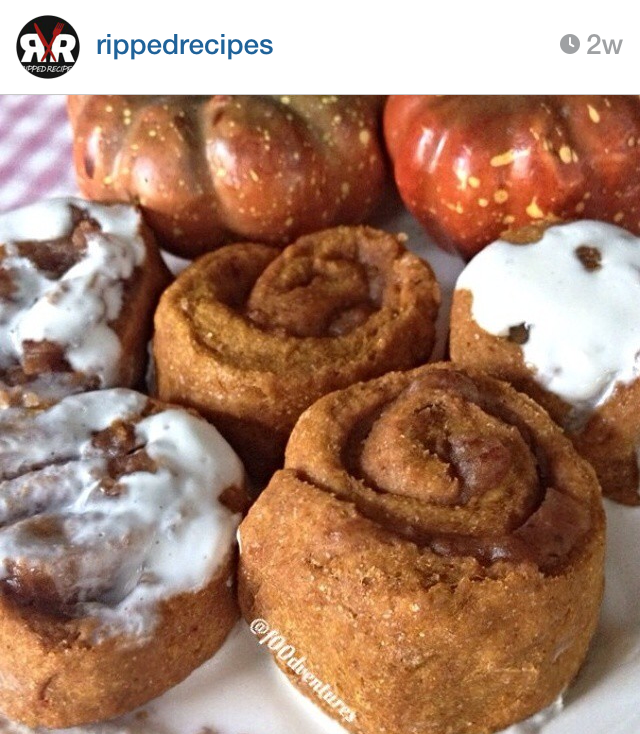 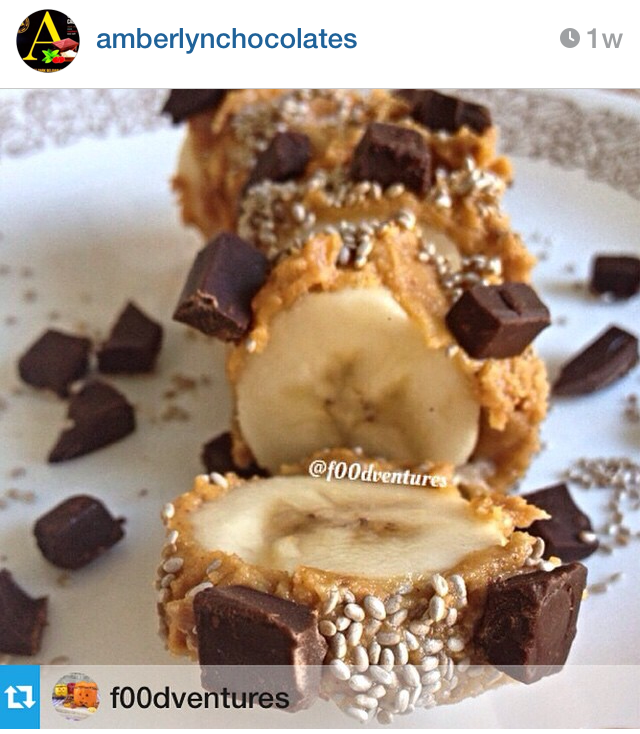 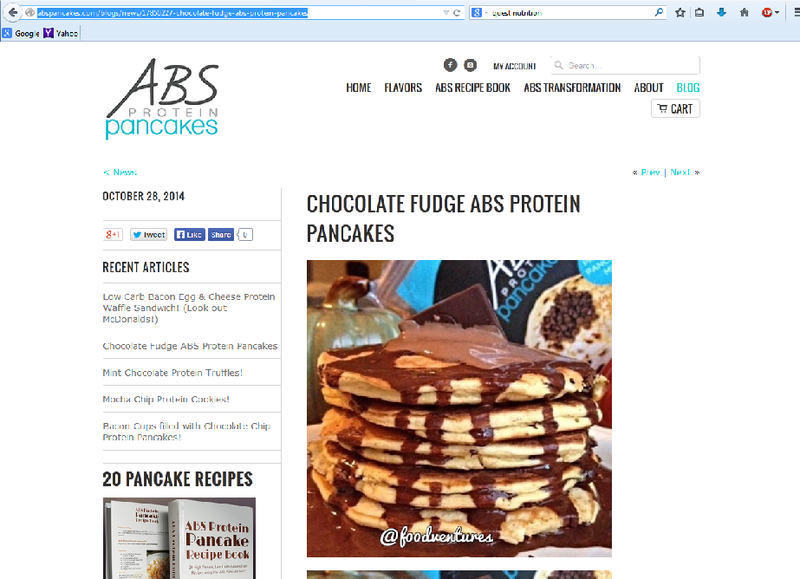 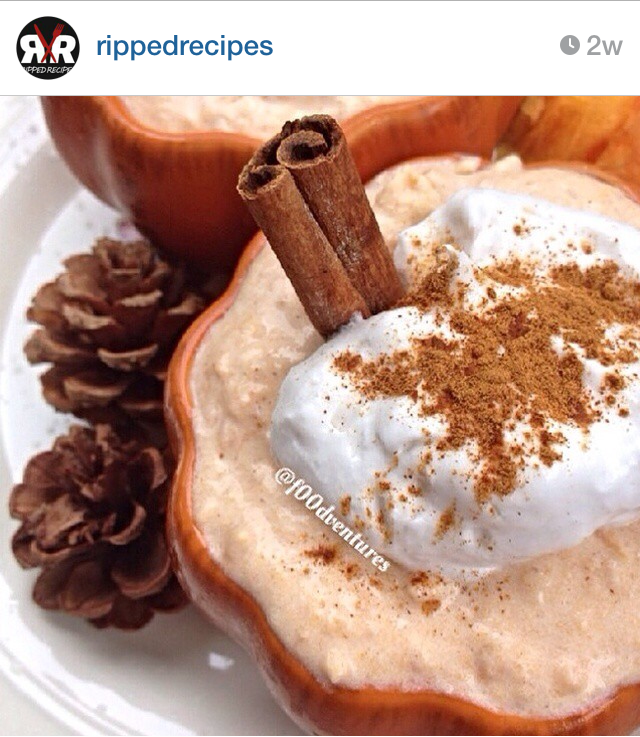 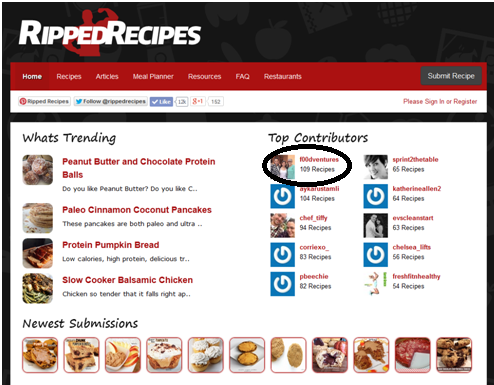 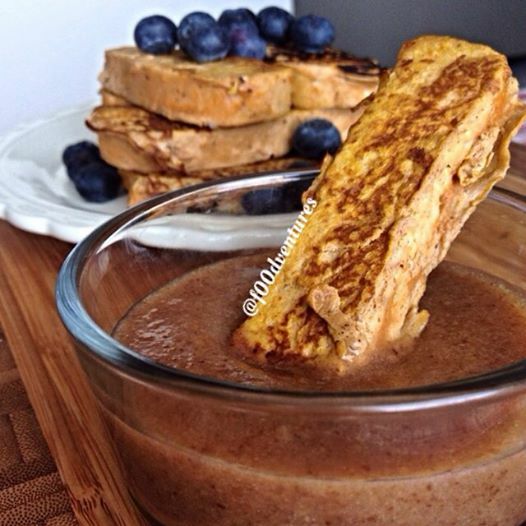 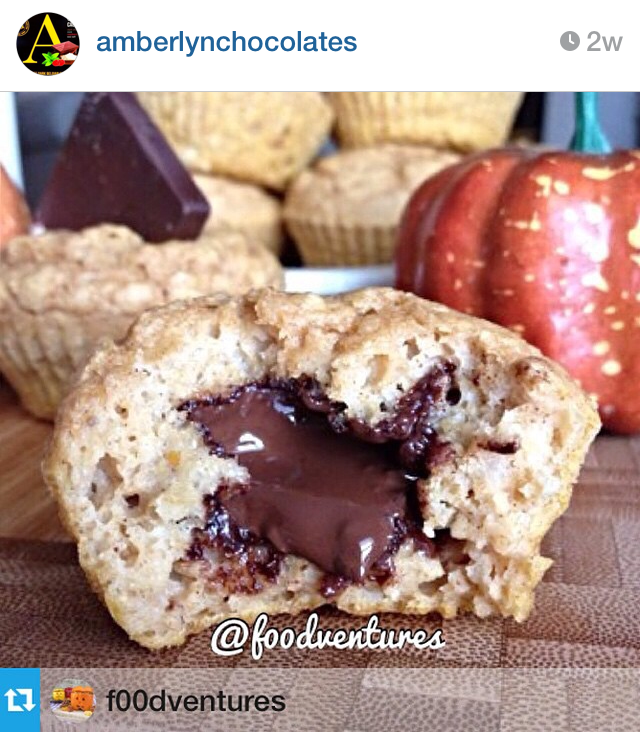 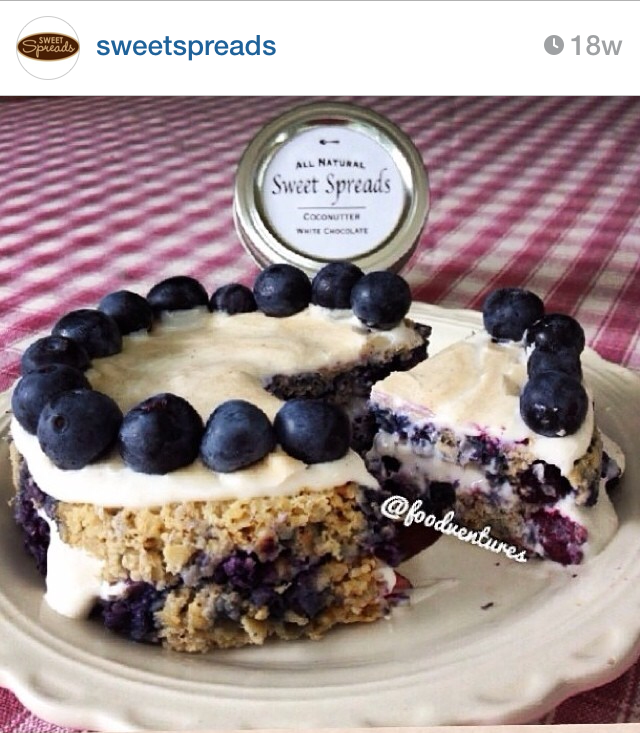 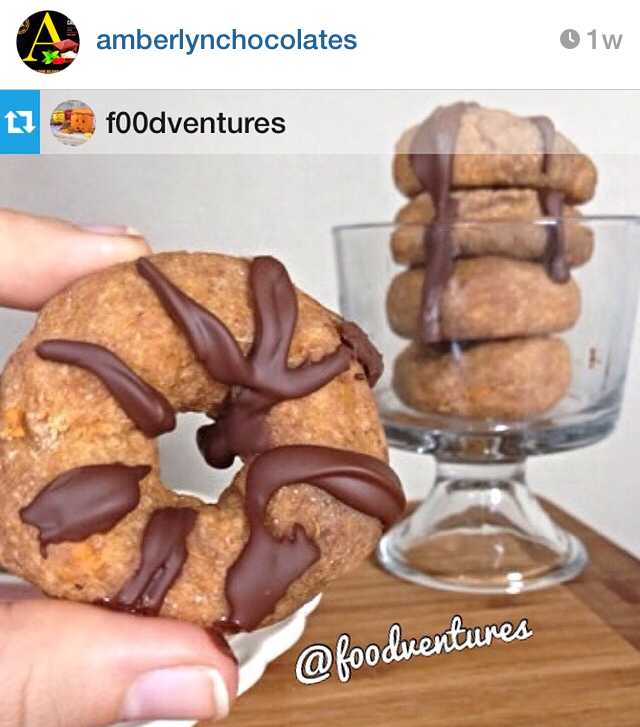 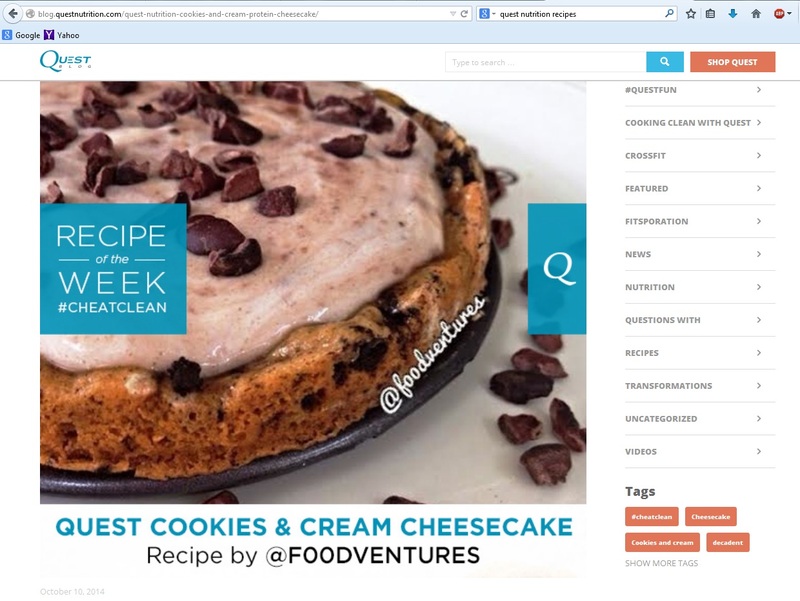 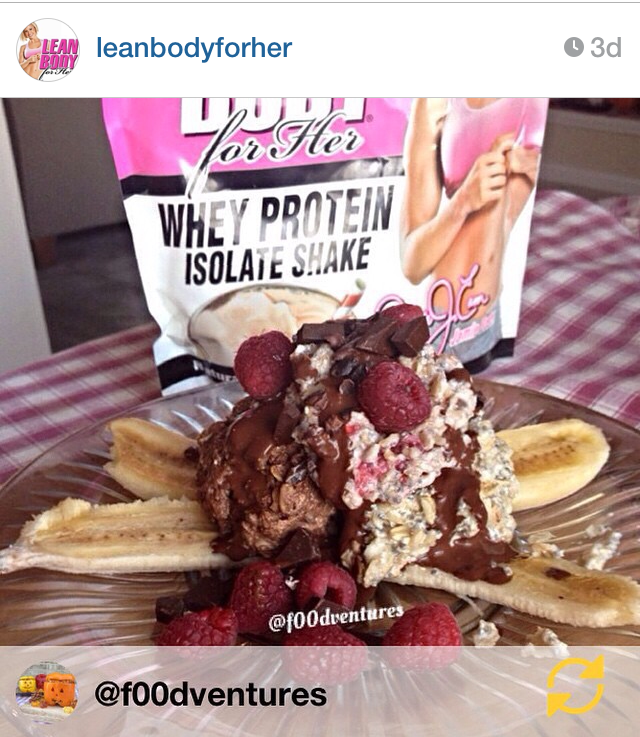 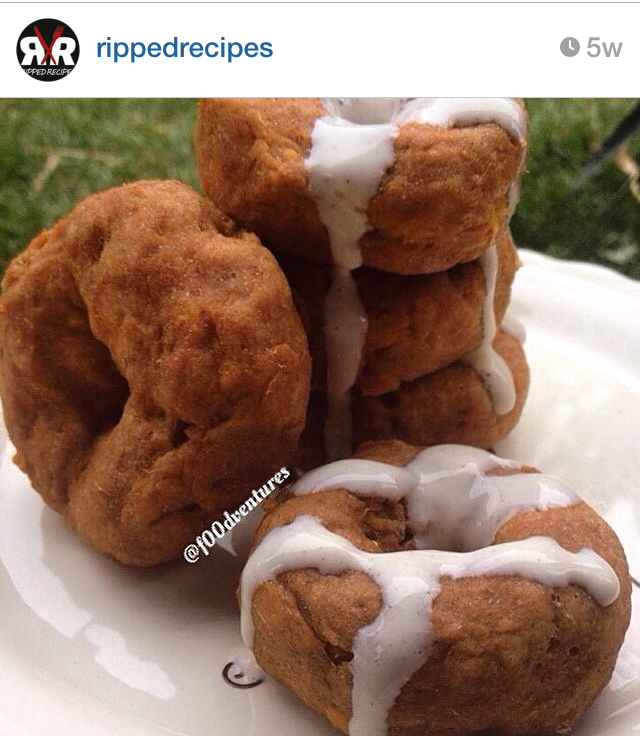 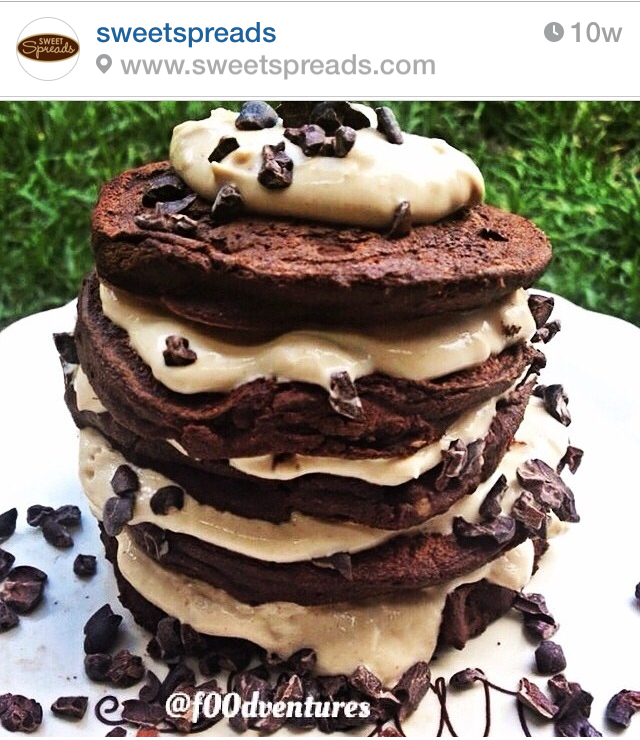 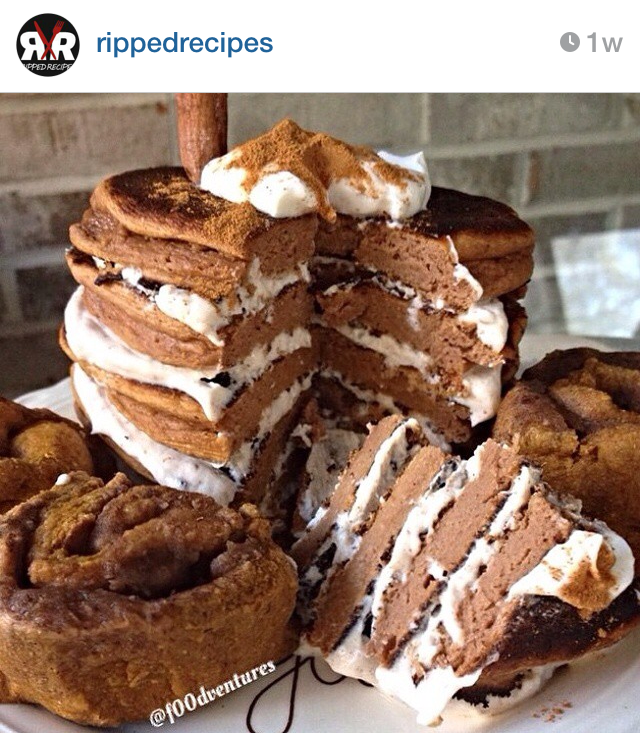 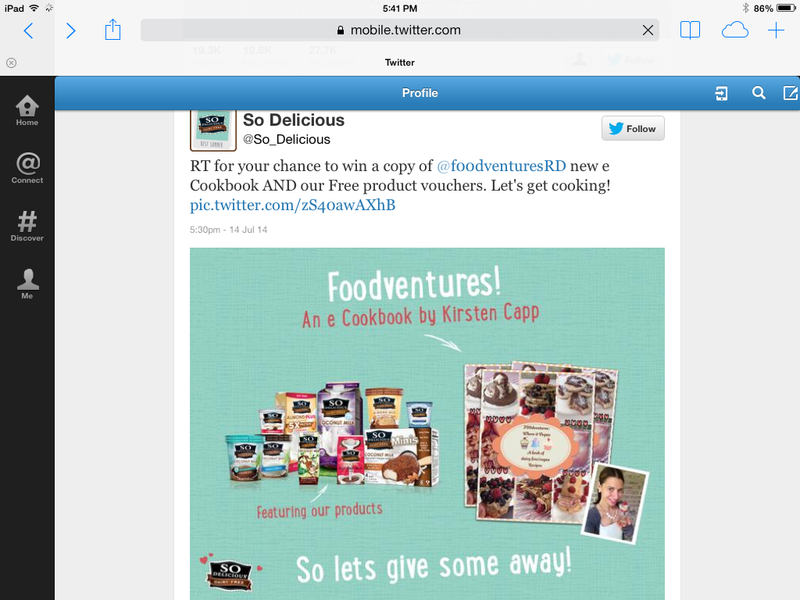 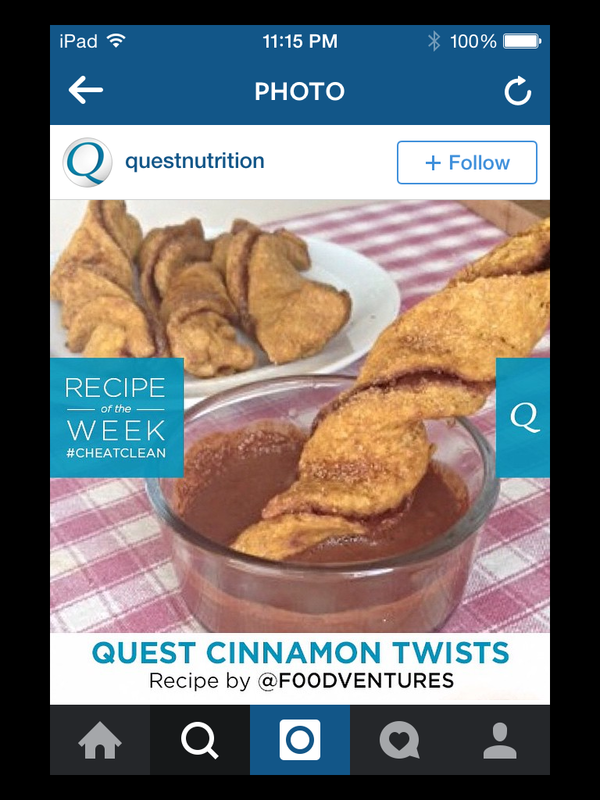 My recipes have been featured several times by companies on instagram as well as on various company websites. 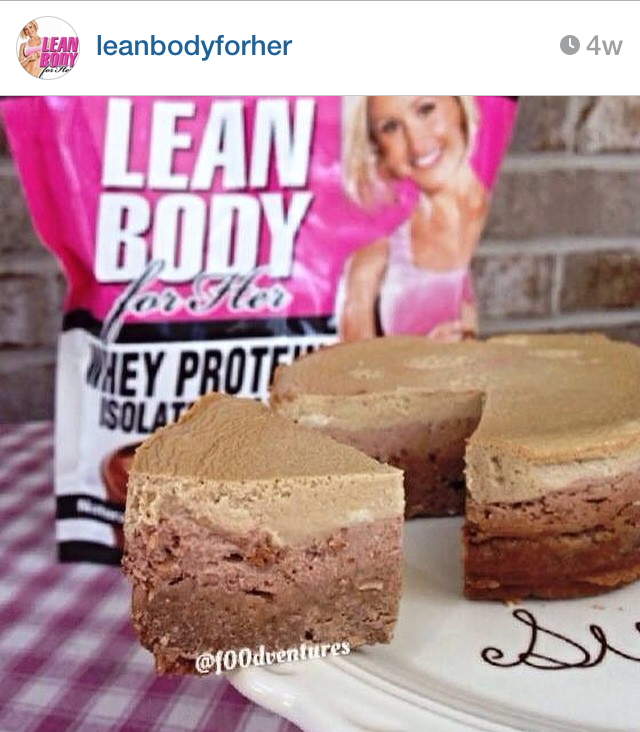 In addition, I have been an instagram ambassador for several different companies like My Oatmeal (June 2014 – Sept 2014), Kodiak Cakes (Sept 2014 – present), Labrada Lean body for her protein (Sept 2014 – present), and Siggi’s yogurt (Jan 2015 – present). 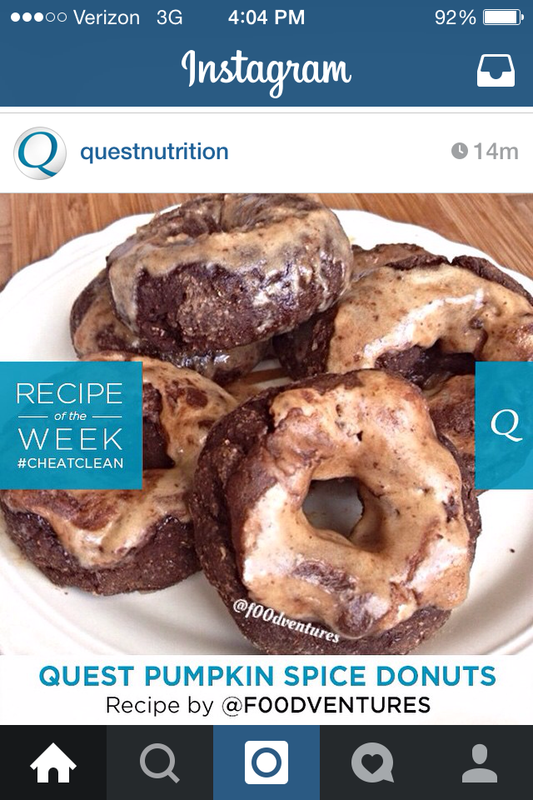 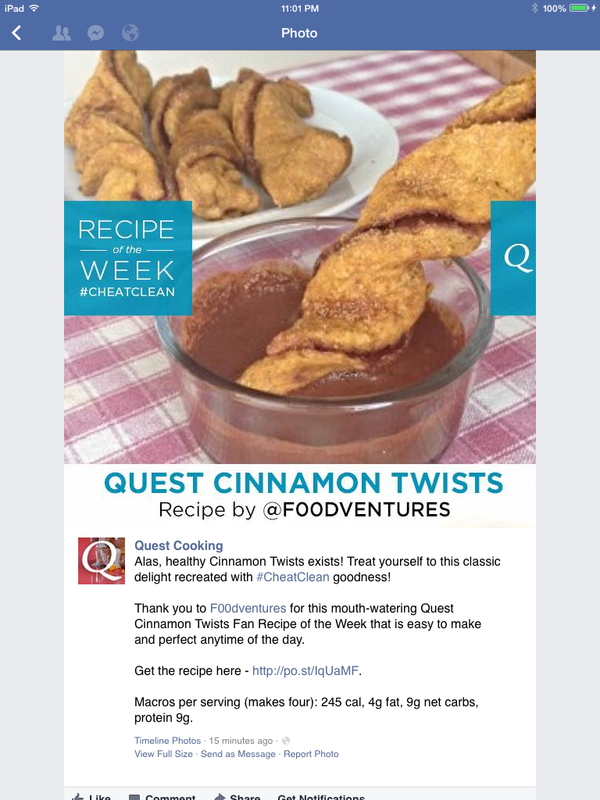 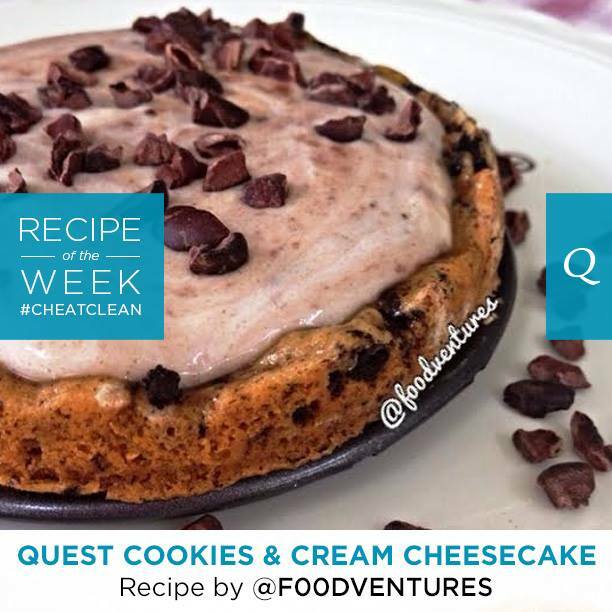 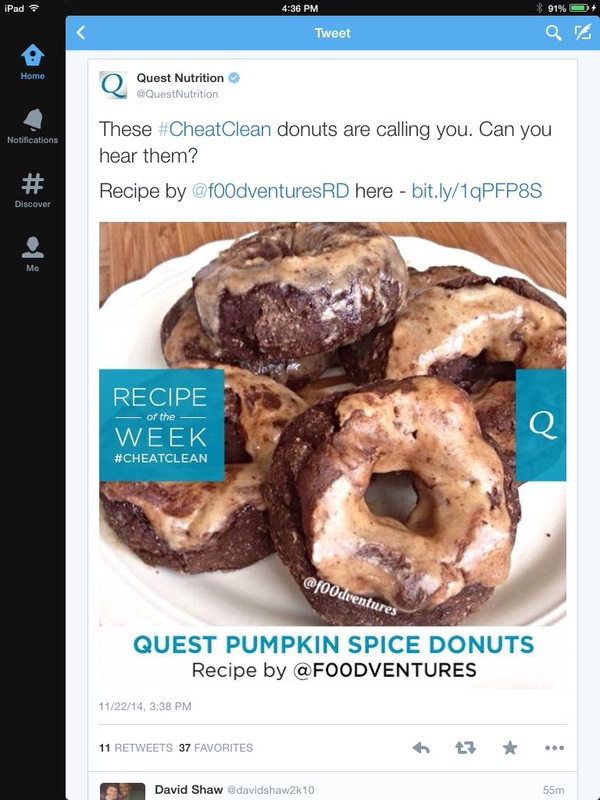 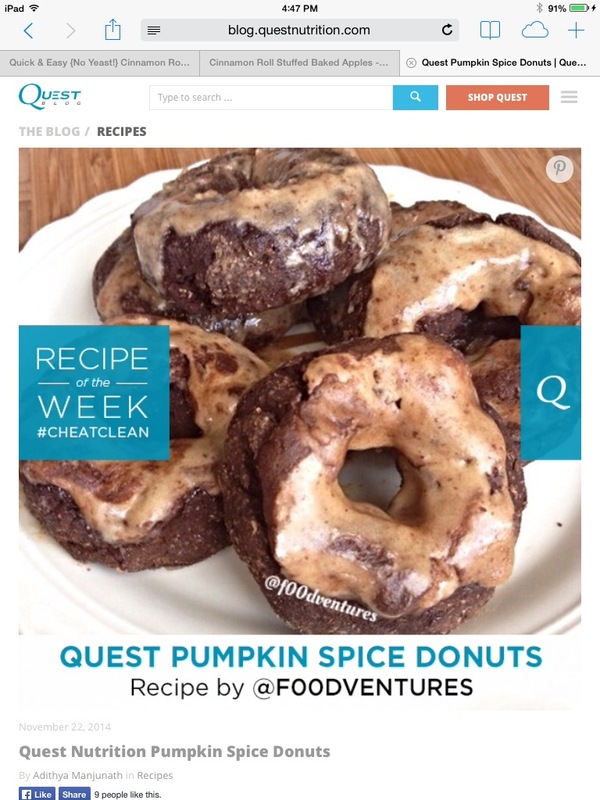 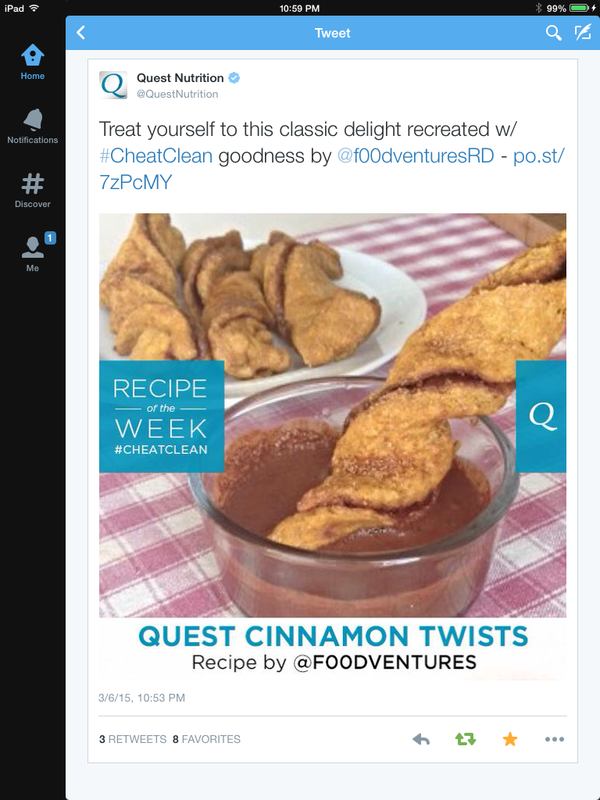 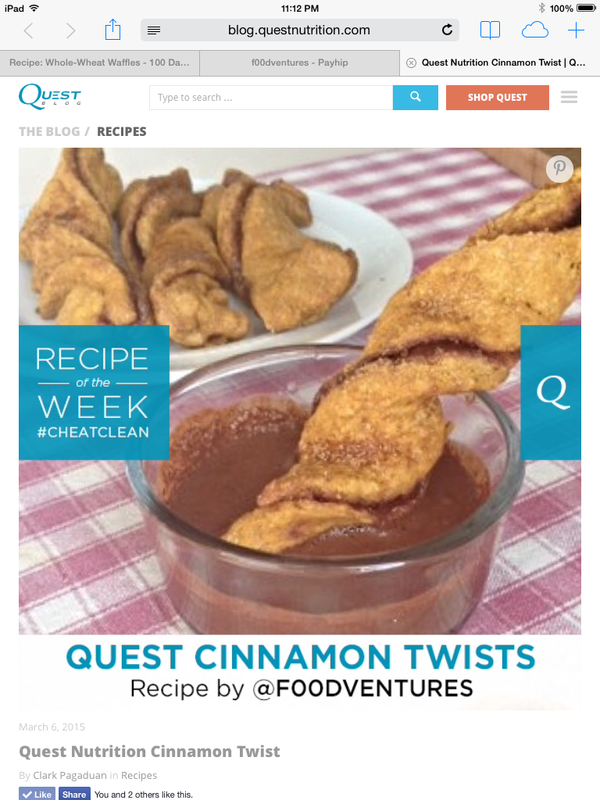 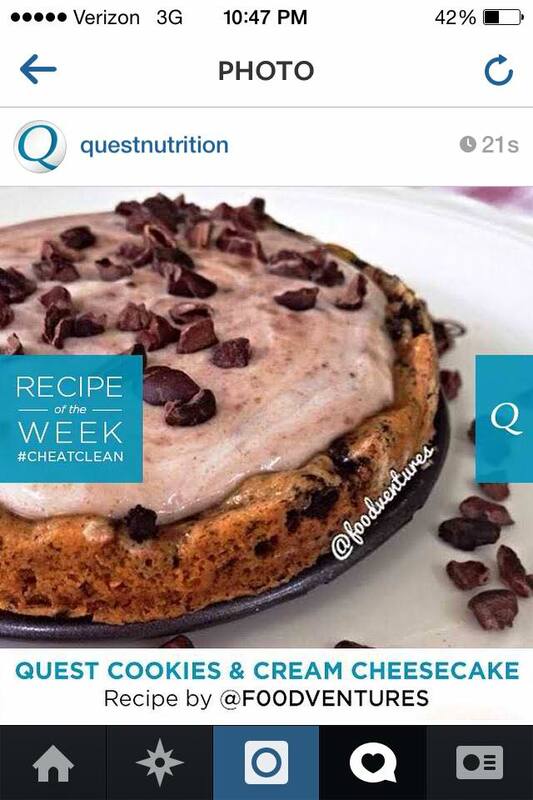 Quest Nutrition has featured three of my recipes within the past year as their “recipe of the week”. 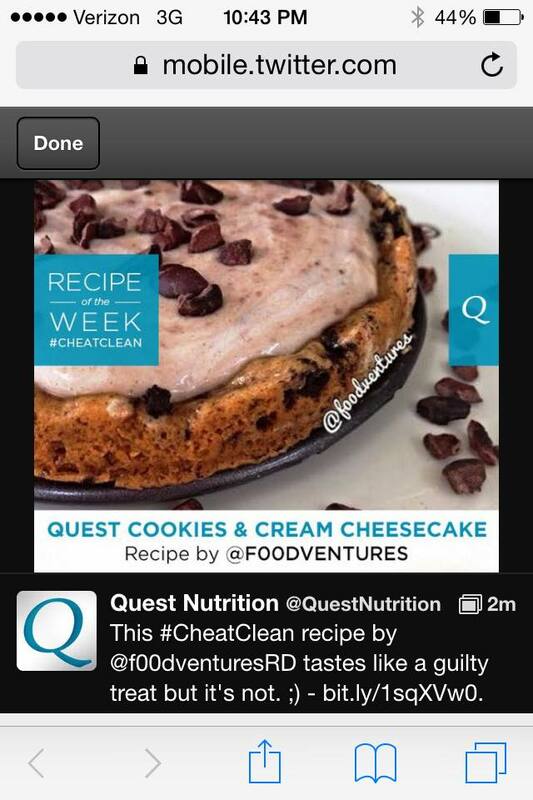 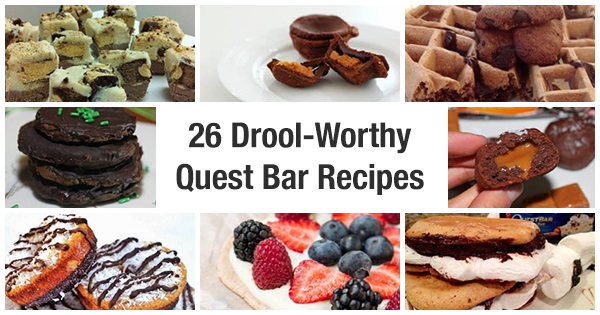 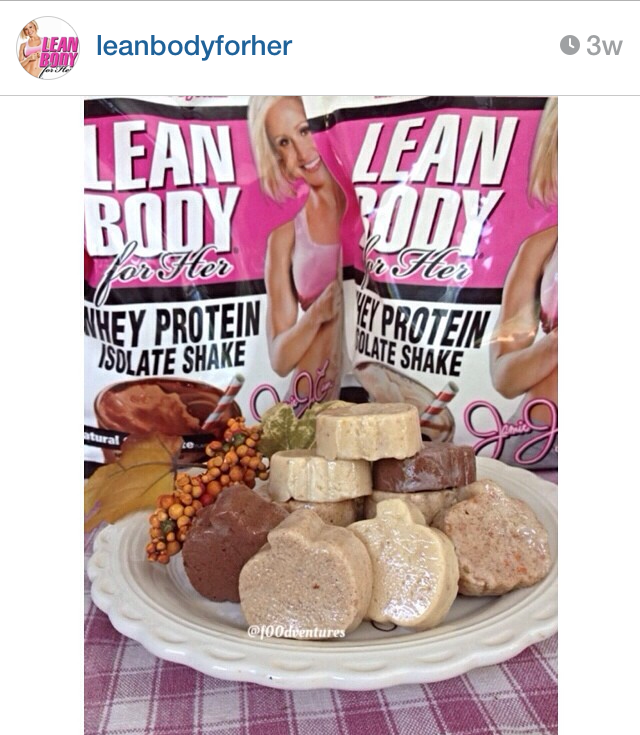 Quest Nutrition is a company with several protein products like protein bars, protein powders, etc. 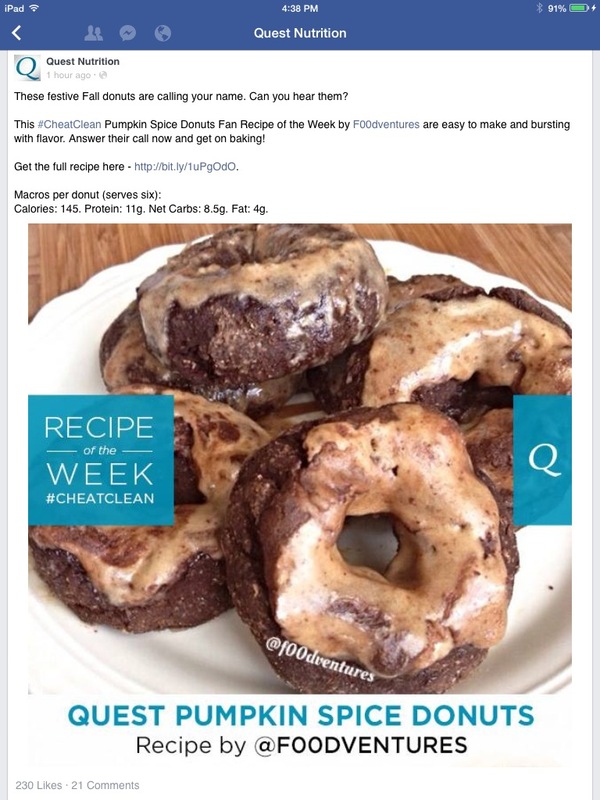 Their online community has 1 million+ followers on facebook, 121k followers on twitter, and 403k followers on instagram (as of March 2015).